Most people think of Fiji as an island paradise. But four airports, three types of aircraft, 19 time zones and 30 travel-hours from HydroSports (Keizer, Oregon) is the village of Kadavu Koro. Remote by both distance and time villagers have almost no access to medical or dental care. 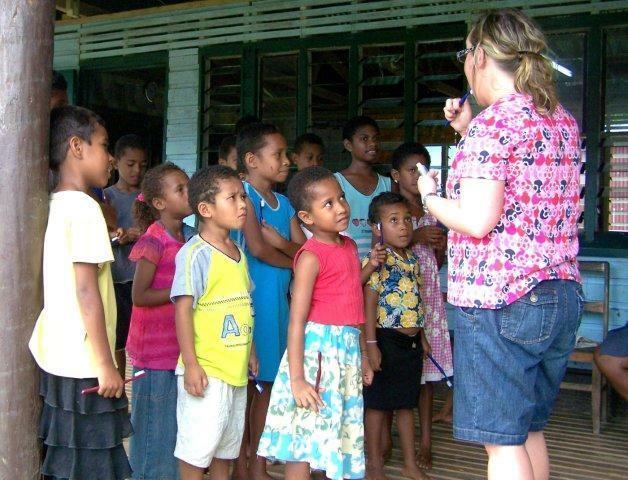 Located on the Island of Kadavu, Kaduva Koro is home to about 300 people. I have visited Fiji 12 times over the past 10 years. 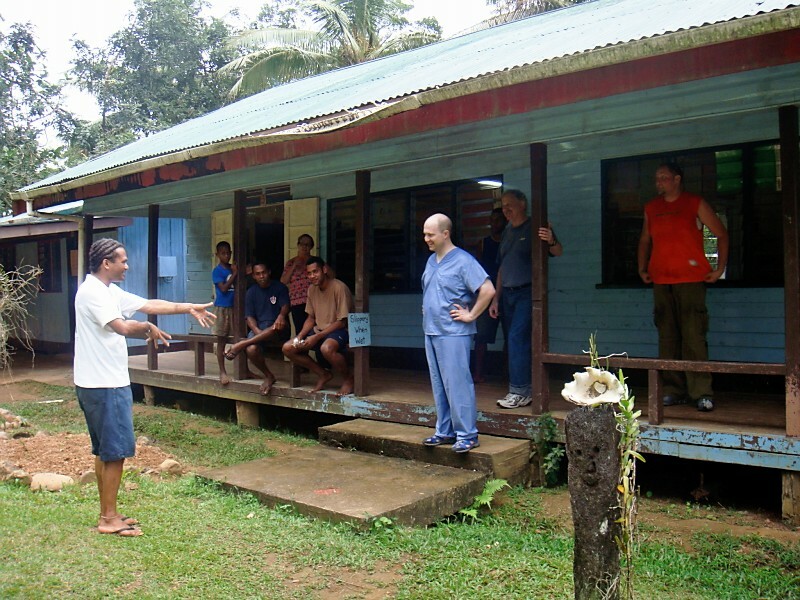 During my stays I was able to visit the village and local primary and secondary schools and received an education about the availability of health care at the village level. What I learned was that while care is readily available in cities, at the village level, care is scarce. Returning from that trip I decided to pioneer a Dental Mission. I partnered with Coach Ramey Stroud, a Mill City diver, and Stuart Gow, Director of the Matava Eco-Resort on the island of Kadavu. Together we identified dates for our trip, solicited the cooperation of Air Pacific, the national airline of Fiji, the Fiji Islands Hotel and Tourism Association and the Fiji Ministry of Health. 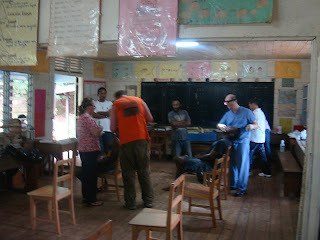 Salem Hospital generously shared information about our trip with their staff. I traveled with Dr. Mike and Mrs. Carrie Litchfield and Dr. Sean Hanson of Salem and Jim and Gina Jepsen from Ione, Oregon. Dave Beard from Tasmania met us at Matava and joined our team. Air Pacific allowed us each to bring an extra 50 pounds of medical gear. Mike and Sean had received hundreds of toothbrushes, toothpaste samples and dental supplies from their suppliers. Mike brought a portable dental station as well. Our arrival at Matava was met with excitement. 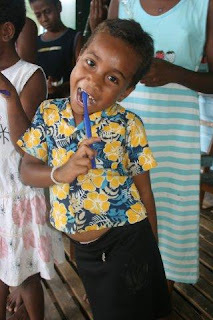 Maggie, the Fijian concierge, let us know that he had shared the news of the American dentists arriving three weeks earlier with the village council. 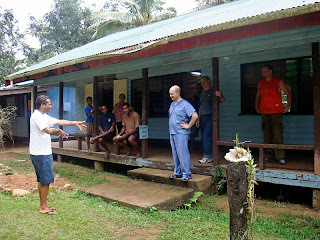 He had made arrangements for us to visit the village the next day to meet with the Chief, the Director of the School (whose classroom’s we planned to use for the clinic) and the village nurse (representative of the Ministry of Health). We took an open boat to the village, walked past sleeping dogs, feeding chickens, children playing, men unloading cinderblocks and women washing clothes. We sat on the floor of the Chief’s home. Maggie and the chief chatted, laughed, gestured at me and Sean. The Chief spoke firmly. Maggie stood up and gestured to us. We stood as well. “We must now visit with the Director of the School” Maggie said. Again we sat on the floor, laughter, gestures and quizzical looks. Maggie stood. We stood. “We need to speak with the nurse now” Maggie told us. Walking uphill toward the rain forest we stopped outside the nurse’s home. We learned that the village nurse is the representative of the Ministry of Health and has significant power in the community. Speaking directly to us, she expressed concern that she had not been notified by the government of our mission. I assured her that all forms requested, dental licenses, diplomas and work history information had been sent to the Ministry offices in Suva, the capitol. A smile! She shook our hands and told us we were welcome to provide dental care for her community. As we walked back to the boat, Maggie explained that even though the resort and village know that American Dentists were coming, culturally, it was necessary for us to personally visit and request permission to provide free dental care for the community. Our plan was pretty simple; breakfast, a two tank dive then lunch. 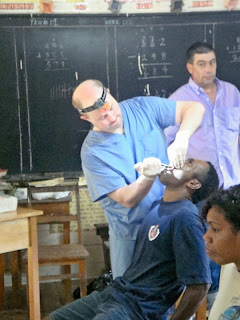 We opened the clinic at 1:30 and treated patients until dark. Power in the classroom was limited to a single neon lamp powered by a new generator. We had come equipped with flashlights for diving and lighting up teeth. 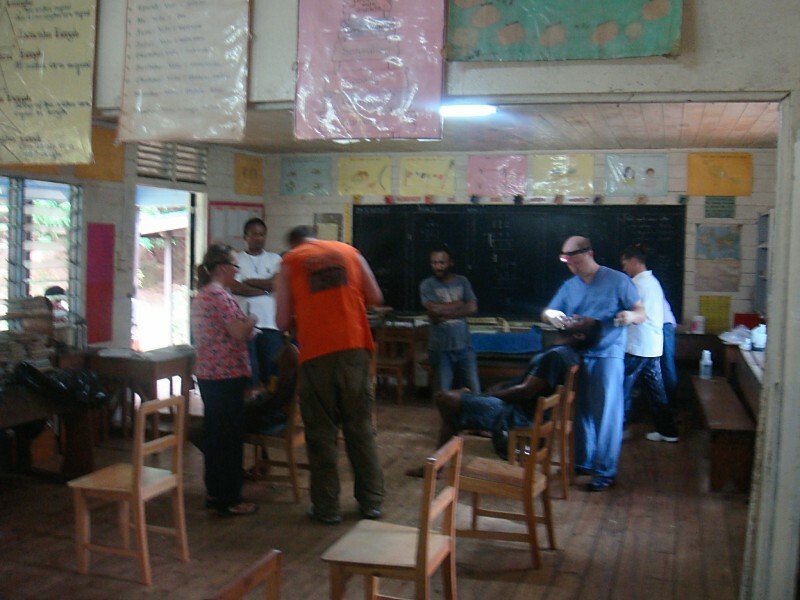 Each afternoon the number of patients grew as word of our clinic spread. The third day we planned to hold an instructional clinic for the village children to share toothbrushes and toothpaste. Carrie Litchfield, an elementary school librarian in Salem was our point person. 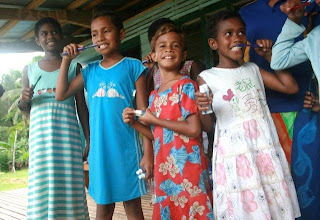 Using humor, laughter and smiles, Carrie warmed up the kids, taught basic oral hygiene and brushing technique and passed out over 200 toothbrushes and tubes of toothpaste. 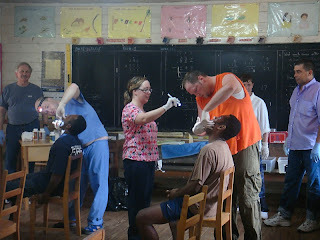 We knew that dental care in the village was extremely limited. We learned that a boat ride to Vunisea, location of the regional hospital an hour away, has a cost of nearly a week’s wages each way. 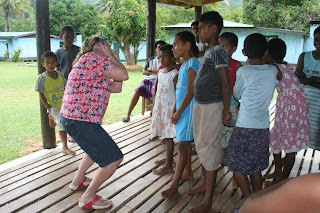 During our stay we had the opportunity to serve nearly 200 villagers from Kadavu Koro. Carrie taught 75 children how to brush their teeth. Numerous rotted, damaged and decayed teeth were removed, mostly from adults, a few from children. 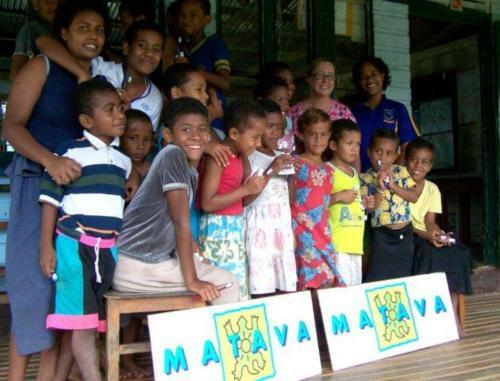 We met many wonderful people during our visit to Kadavu Koro and our stay at the Matava Eco-Resort. 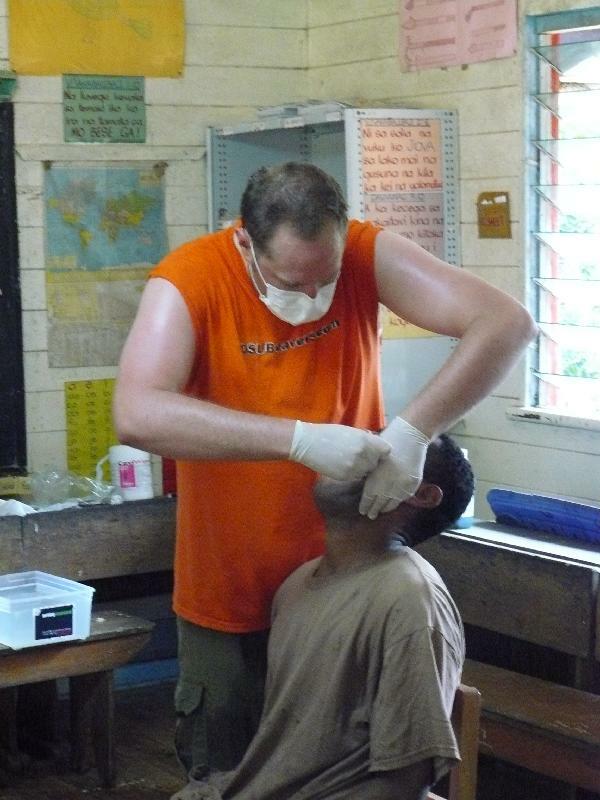 We dove the Great Astrolabe Reef most mornings and provided dental care in the afternoon. 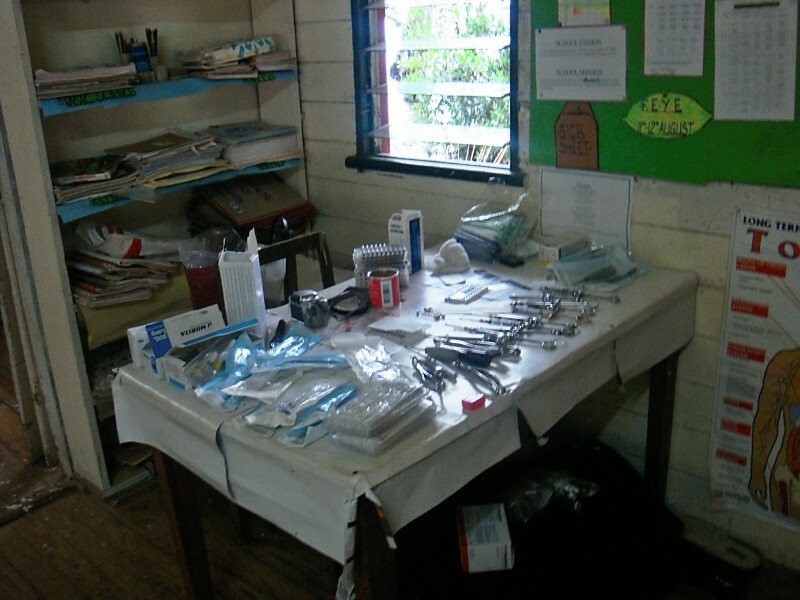 Our Mission provided an opportunity to provide care for those in need and an education about preserving one’s teeth to the children of the village. I’m not fully back from Fiji; I keep asking myself what I would be doing 19 hours from now if I was in Kadavu Koro. 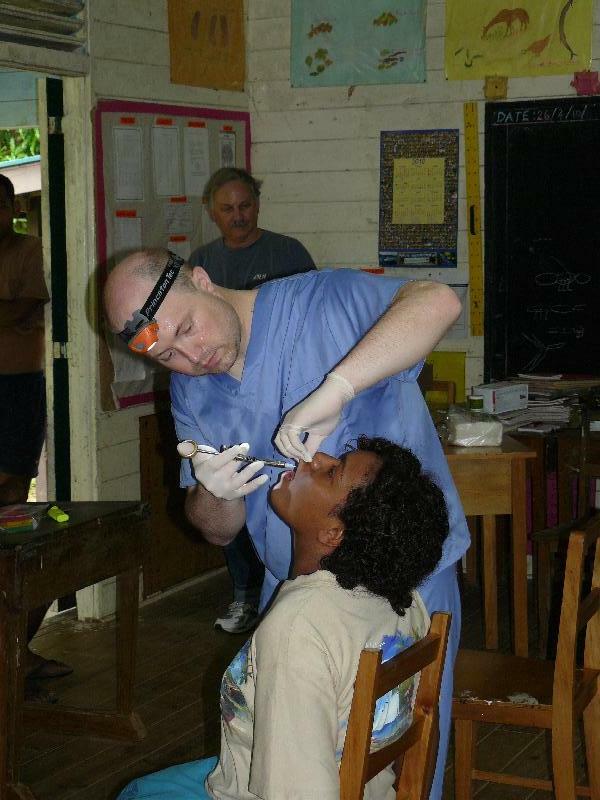 I plan to return to Fiji next year with dentists, optometrists, doctors and nurses to continue the tradition of combining compassion and passion. Care to join me?